For producers and landowners that have already made reallocation and program election decisions, the meetings will provide an opportunity to review (and change) decisions based on: 1) updated 2018 county yield data; and 2) recent policy developments in the 2019-2023 Farm Bill negotiations. 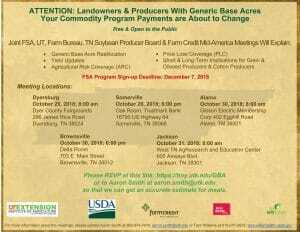 The sign up deadline at FSA service centers is December 7th. 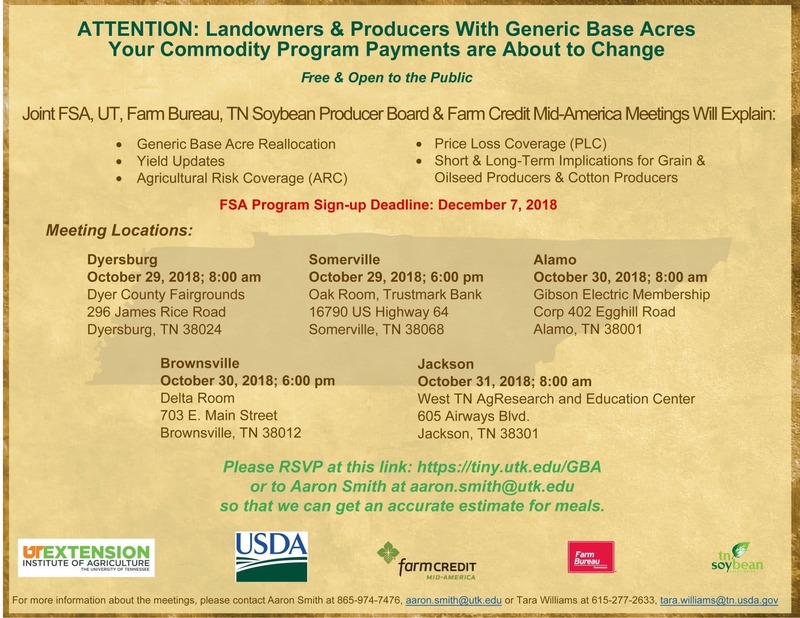 Meetings will be held in Dyersburg, Somerville, Alamo, Brownsville, and Jackson (October 29-31; See Generic Base Meetings Flier 2018). We encourage attendees to register so we can get an accurate head count for meals.